The screenshot above is from my own dashboard page. There are a lot of charts on them and most of them work really well with the dark theme. 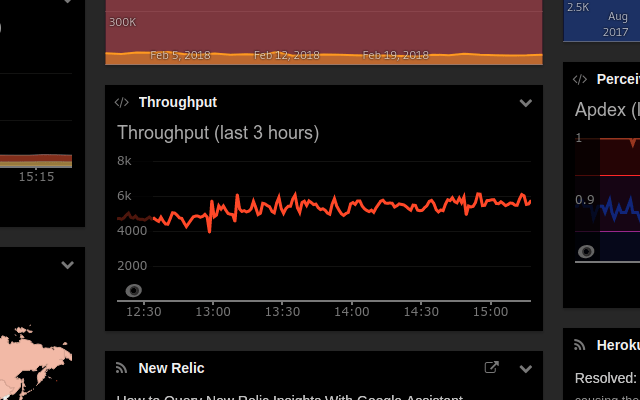 However, the embedded charts by New Relic stand out in a bad way. The white background does not integrate with the rest at all. Sadly, there is no option to change the theme of the chart. So, what to do? For consistency, I used to change the background of this widget to white as well. That looked a little better. But now, there is a proper solution! 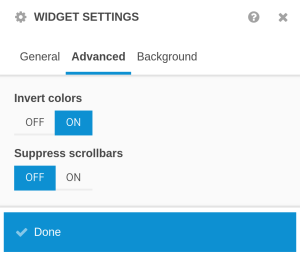 We added a new toggle to the Advanced settings of the Embed widget: Invert colors. Switch this toggle on, and the content you embedded will be inverted. In other words, all colors will be replaced with their exact opposite colors. So white will become black and black will be white. 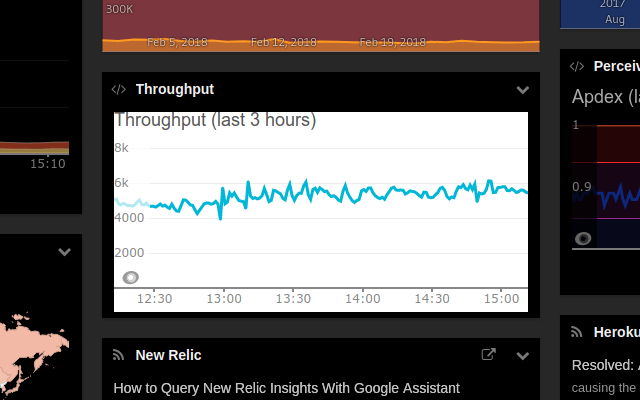 I just switched this new option on, and my New Relic chart suddenly does not stand out anymore. Notice how the white background turned black. It blends in perfectly! One thing you might find strange: the chart line previously was greenish blue and now it is red. That is not an error, that is actually what happens when you invert the colors. It is very similar to what the negative of a photo looks like in relation to the actual image. Most of the time, this is not a problem at all. Hopefully, you will like this little new feature. It will certainly help building (even more) beautiful dark themed dashboards. And while you’re at it, you might want to check out our Chart widget. It’s been around for quite a while and is really great when you want to plot data from an online data source or spreadsheet. And of course, it supports dark themes!